This is usually the first modification everyone does to get a little more speed. Intake kit comes with jets and should always be done with Exhaust together. No sense in re-jetting again. Do it all at once. It’s a good idea to get a new CVT belt if yours is old or has more than 2000 miles, change the oil and put no more than .6L of 10/40 and if your OEM drive face is worn you may need to get a new one. 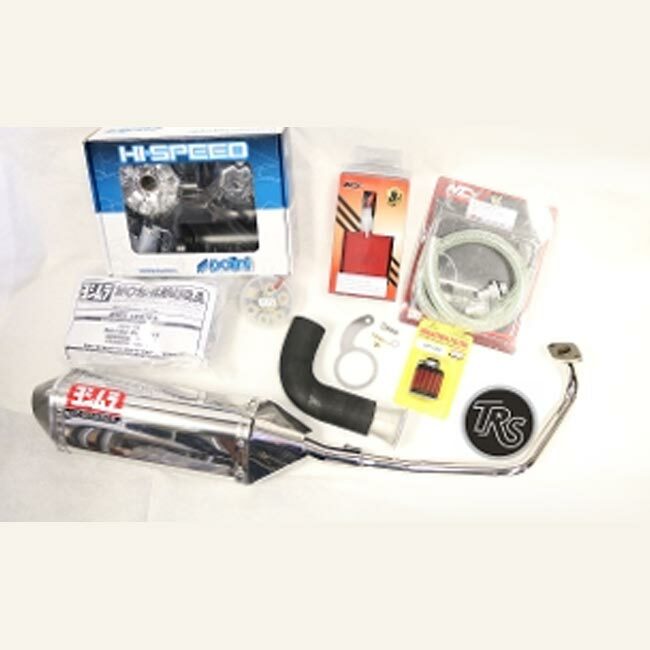 You purchase these parts below under the related items. 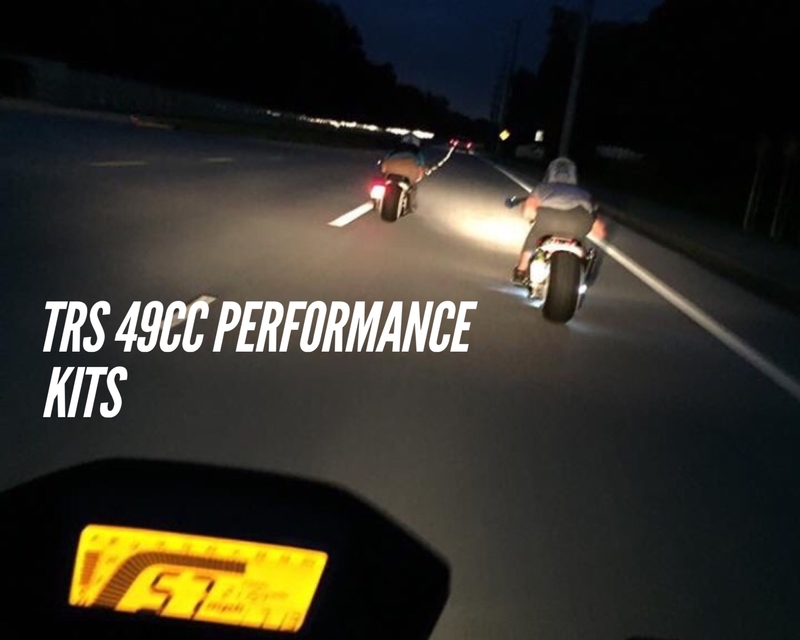 TRS makes no guarantee that your 49cc will run 50 MPH especially if the riders weight is above 200 lbs. We have this kit on our personal WELL MAINTAINED ruckus and go 55 MPH with a 200 pound rider. Riders under 200 Lbs have reached up to 60 mph tucked over a 2 mile flat stretch at sea-level. Every 49cc Scooter is different and results will vary. All parts should be installed by a trained motorcycle technician but have included Youtube videos below for someone that is mechanically inclined. TRS makes no warranties, implied or otherwise towards the performance of these kits. I purchased the Stage 2 carbon kit. This kit is amazing ! Ruckus is way faster, better low end speed, better to speed, climbs hills without loosing power, exhaust looks and sounds great, all around better performance. I reccomend this kit to anyone.